Can Mian Sahb create a Roshan Pakistan! After two years in power Mian sahb has failed in many of his endeavors. Promising to end load shedding in six months during his electioneering, two years later he has yet to fulfill his promise. Vowing to end unemployment, he has given us nothing but hope. Maybe the $46 billion promised Chinese investment does offer some optimism yet that is a hope which is yet to unravel! What’s shocking is it took Nawaz Sharif almost two years in power to realize that terrorism is the biggest threat facing the country. Today Pakistan remains as lawless and crime and terrorism infested as it was in 2013. Sure the people gave Nawaz a mandate for five years yet we ought to have seen some progress by now! Their economic and infrastructural focus had always been palpable and their track record was a testament to that. From the M2, setting up of NADRA, dams and power plants, PML-N has delivered (in the past) in the little time that they were given in contrast to their mandate of a total of 10 years in separate stints at the federal government. The Metro Bus system had also been a noteworthy project that cannot be denied as not having benefited countless people, regardless of the criticism it has received. Yet maybe the need of the hour in both 2013 and 2015 was the need to first focus on the core issues facing the country including terrorism, electricity crises and lack of quality public schools! These issues remain unresolved. The party had proven its seriousness towards education in the past. Apart from establishing the outstanding Danish Schools, the Punjab government had shown effective implementation of education reforms all over Punjab. These were criminally underreported in Pakistan but yielded remarkable results. Nevertheless millions of schools going age children in Pakistan remain deprived of education. A specific characteristic of the party had been its sense of political maturity and responsibility. PML-N displayed judiciousness by allowing the last government to complete its term and not bestowing a crown of political martyrdom and victimhood on its head. 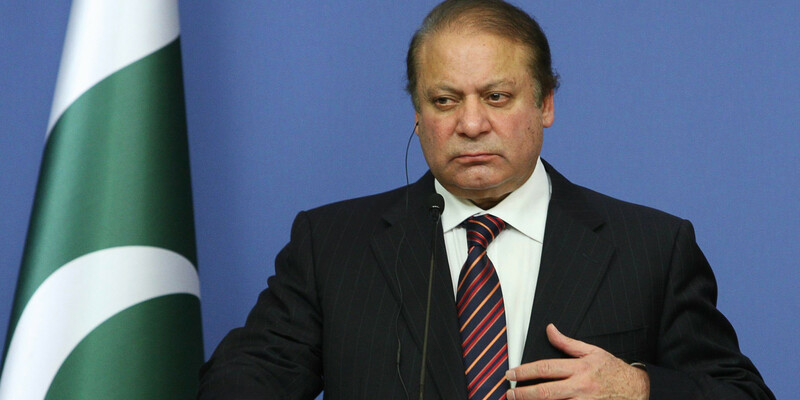 If the PML-N’s role is seen in this regard and context, then it also gets credit for contributing to the milestone of the first term completion of a democratically-elected government in Pakistan and thus, facilitating the transfer of power from one democratically-elected government to another which these elections were. PML-N further played its cards well in the dharna crises last year by not ordering a crackdown against the dharna gang of Imran Khan which proved itself to be senseless in time! It is a party that reached out to Baloch leaders and called upon them to contest in the elections. In September 2012, PML-N announced its backing to the six-point proposals of Akhtar Mengal in improving conditions of the people of Baluchistan. PML-N’s biggest hallmark could also be the development of Gwadar which if properly developed could prove to be a game changer for both Baluchistan andPakistan! And the route changing propaganda is nothing but rubbish; there are three alternate routes being developed to Gwadar under the economic corridor program! Three years after coming into power PML-N needs to reassess whether its promises of delivering a Roshan Pakistan are materializing for slackness is a crime that the people of Pakistan no longer forgive which the fate of PPP in 2013 elections clearly exhibits!